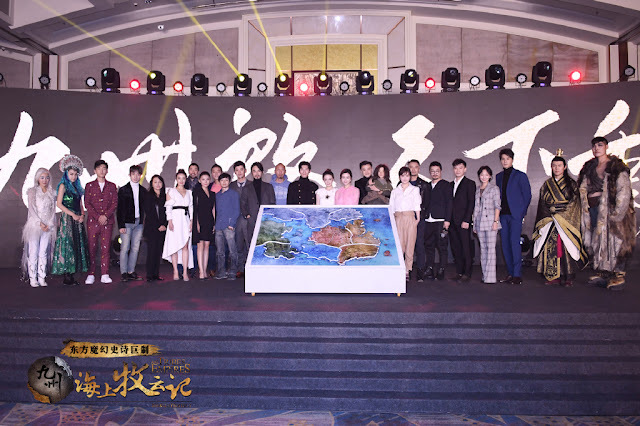 We've got one week to go until Tribes and Empires: Storm of Prophecy 九州·海上牧云记 airs November 21, Tuesday, on Youku, iQiYi and Tencent and promos have been ramping up for the big premiere. From left to right, Shawn Dou, Xu Lu, Janice Man and Zhou Yiwei take the stage as the main leads. 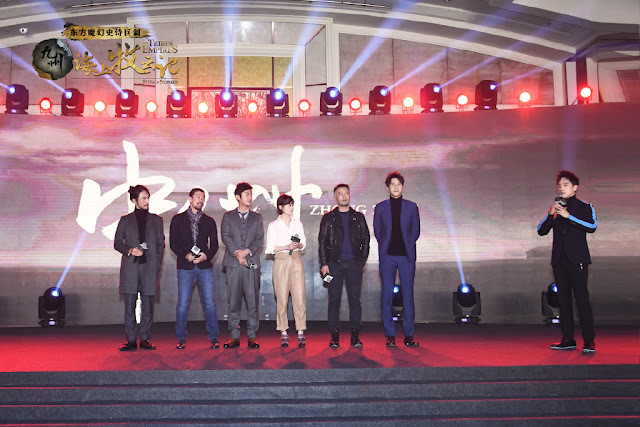 Huang Xuan who is also the main protagonist couldn't make it due to a change in the date of the event that caused a conflict with his schedule as he was already off filming on another location. It would've been nice to see the group together, but I'm really just waiting for this to air. 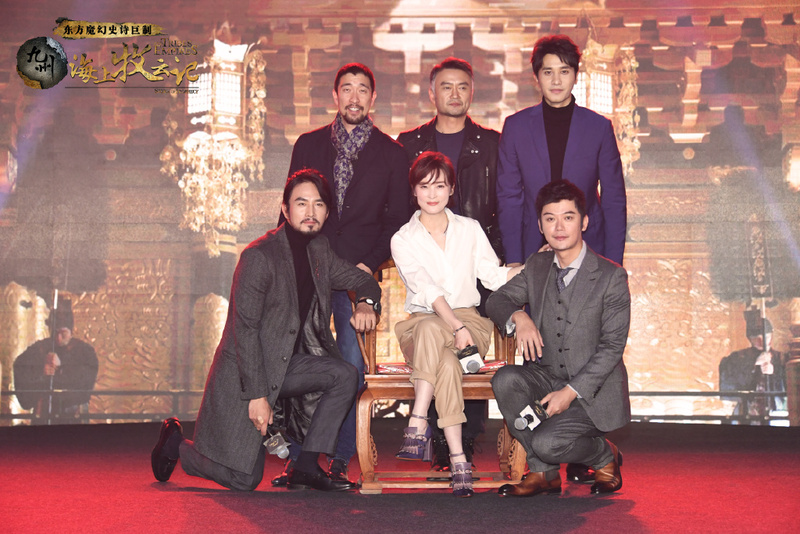 Besides, the stage is brimming with people simply because the show has such a large supporting cast that also includes names like veteran actress Jiang Qin Qin and Uygher beauty Reyizha. 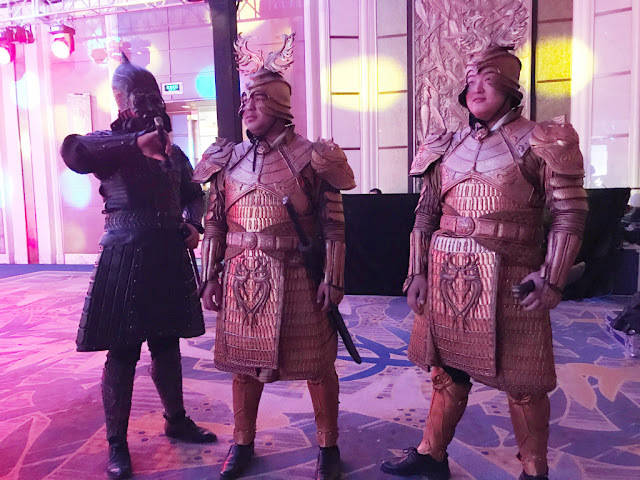 It was interesting to see cosplayers also going all out. 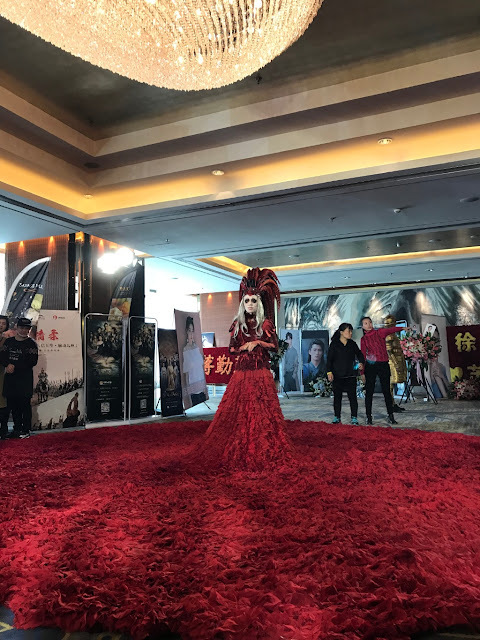 Cue that red trailblazing dress that covers the entire floor! 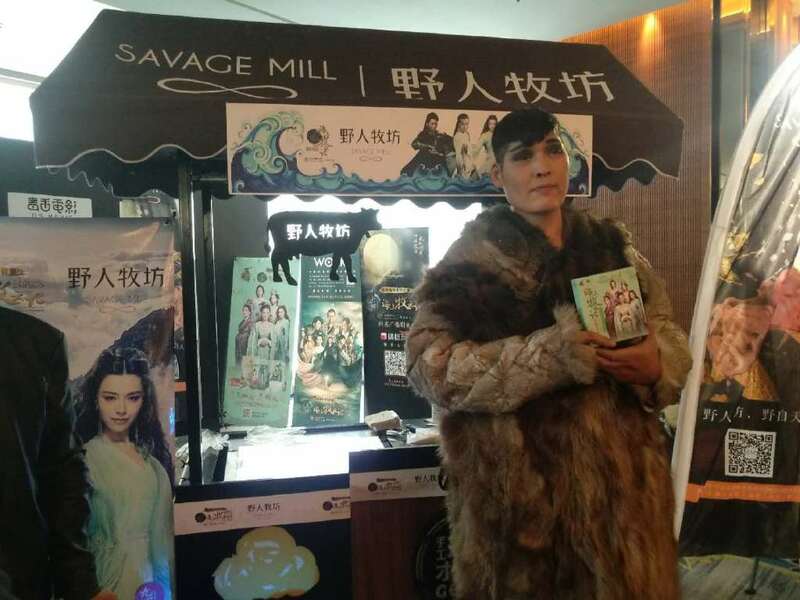 It's a costume inspired by the character Heshu Hongling, played by Li Xin Ai. See more character introductions here. 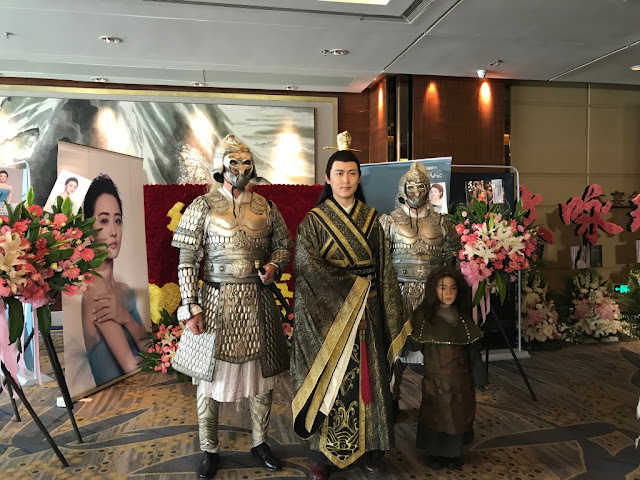 Shawn Dou looking so handsome as usual! I wonder if it's odd to hold a press conference for something they filmed so long ago with so many projects in between. At least it is finally being aired. 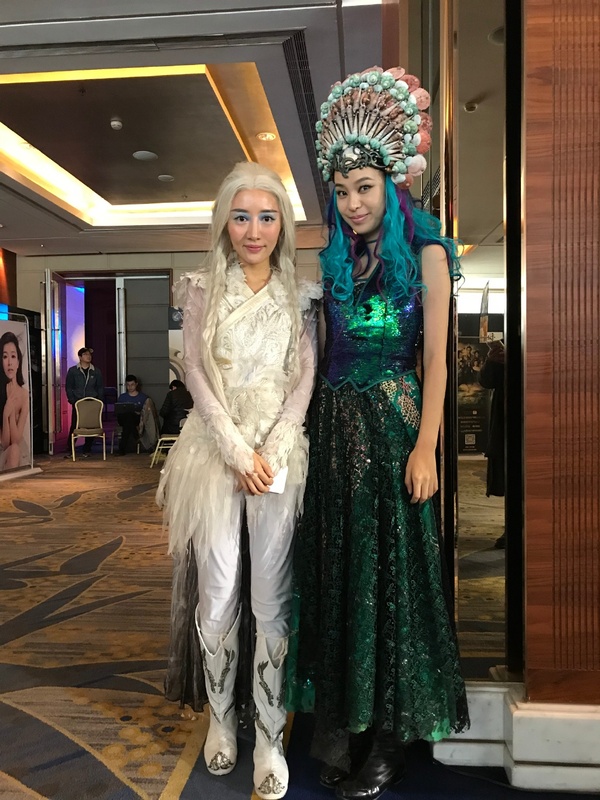 The cosplayers are so talented. That red dress is astonishing! That's interesting, do you know when they started filming? I'm sure post production must have been a huge task.